Elisabet Helsing has authored a number of books, chapters and scientific papers, training materials for health workers, as well as practical guides for mothers. She always willingly shared of her profound knowledge, experience and enthusiasm to the benefit of many colleagues, nutrition students and friends who have been inspired and moved by her. She will be truly missed by many in the international nutrition community. Elisabet Helsing, born in Oslo in 1940 started out as a school teacher. While nursing her two children she developed a strong interest and engagement in protecting, promoting and supporting breastfeeding. Backed by a young medical officer in the Norwegian National Directorate of Health, Gro Harlem Brundtland - later Norway’s Prime Minister and Director-General of WHO - she developed official pamphlets with practical advice to mothers on how to succeed in breastfeeding. In 1968, she initiated the mother-to-mother support group “Ammehjelpen” which spread rapidly throughout the country and was credited for the dramatic rise in breastfeeding in Norway from 1970 onwards. In 1969, Elisabet took up nutrition studies at the University of Oslo to strengthen her scientific credentials to further campaign for breastfeeding. 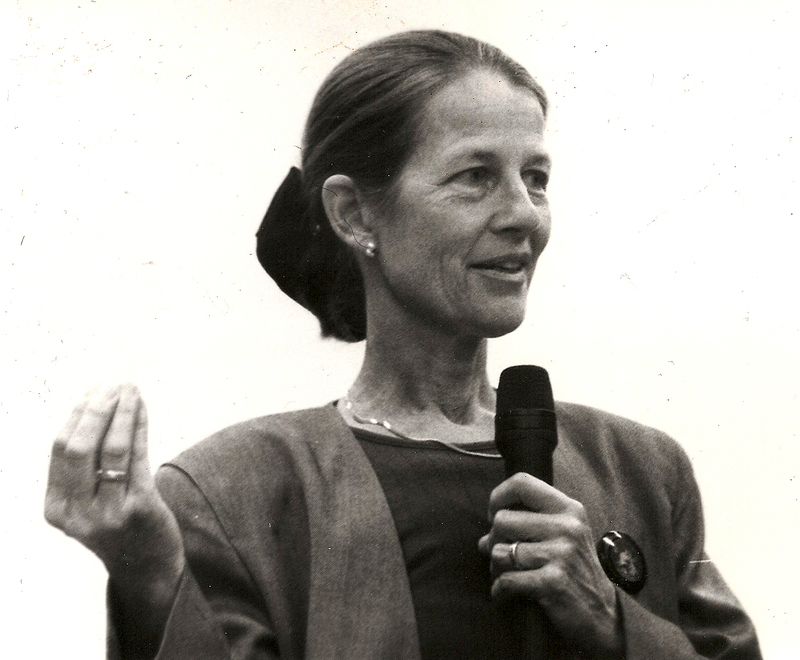 Her interests widened to nutrition policy more broadly, also reflected in her doctorate at the University of Athens in 1989. Her international career started in Norway from 1973 through the FAO-led Freedom from Hunger Campaign, organizing international conferences and awareness-raising on international nutrition issues. At the 1974 World Food Conference she amazingly got the Norwegian Minister of Agriculture to propose breastmilk as acommodityto be accounted for in national food balance sheets highlighting its economic value. While this may have been too radical for the world, Norway has since 1993 estimated the annual production of human milk. Later, in Niger, she worked on nutrition emergency relief with the International League of Red Cross Societies and the Ministry of Health. In Bangladesh with the World Food Programme she supervised the implementation of a feeding programme for over half a million women and children, while at the same time she initiated (on a voluntary basis) a self-help project for women (Nijera Kori-“we do it ourselves”)which developed into a well-known, still existing national activist NGO. Between 1978-81 she coordinated a Norwegian Agency for Development Cooperation (NORAD) project investigating the potential use of fish protein concentrate in emergency relief worldwide (and concluded in the negative). In 1980-81 she also coordinated an international multi-centre study on breastfeeding among working mothers in Brazil, Sri Lanka and Tanzania, hosted by the Institute for Nutrition Research at the University of Oslo. From 1981 to 1984, Elisabet worked as a Senior Executive Officer in the Norwegian National Directorate of Health on international nutrition-related questions, infant feeding and WHO, including implementation of the International Code of Marketing of Breast-milk Substitutes - typically against strong industry interests. In 1984, Elisabet became the first regional adviser for nutrition at WHO’s Regional Office for Europe in Copenhagen. During twelve years in this function, she raised the profile of nutrition policy development and implementation; extra demands being set to her creativity with the opening of the Soviet states in 1990. She spearheaded the work to roll-out the Baby-friendly Hospital Initiative (BFHI) – reaching to the Barents Region, strengthened nutrition surveillance and dietary surveys, and early spoke up about issues that would not be raised if WHO did not do it, such as the rise in obesity. Elisabet was in this period among the initiators of the World Alliance for Breastfeeding Action (WABA) established in 1991 and served in several functions in its leadership. She also in WHO found her husband Graham Dukes – a medico-legal expert on side-effects of drugs with whom she shared the rest of her life and numerous common interests. Back in Norway in 1996 she continued her engagement in infant nutrition related matters and provided advice to Norwegian government agencies as a senior executive officer at the Section for International Affairs and Public Health of the Norwegian Board of Health. She lectured and supervised students at the University of Oslo and took up an interest in breastfeeding as a human right of the mother/child dyad. From 1999 to 2003, Elisabet served as president of the Federation of European Nutrition Societies (FENS). Elisabet’s contributions to public health nutrition, and breastfeeding in particular, are numerous and have left strong footprints. In 2003 she was awarded the Norwegian King's Medal of Merit in Gold for extraordinary services to the people through her work to promote breastfeeding. Her work is all the more impressive as it evolved in the shadow of “Mr. P” as she called the early entry in her life of Parkinson’s disease; however, she never let it restrict her professional life. The African Union (AU) today awarded FAO Director-General José Graziano da Silva with a special certificate of recognition for his contribution towards the eradication of hunger in Africa and the sustainable development of the continent’s agriculture sectors. As global hunger numbers have continued to rise driven by the proliferation of conflicts and climate-related shocks, FAO is seeking $940 million to save the lives and livelihoods of some of the world’s most food-insecure populations.